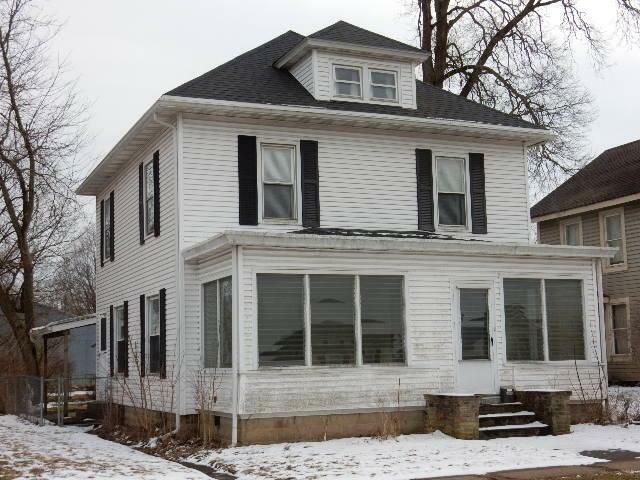 Very well maintained 2 story home with gorgeous original woodwork! This spacious home boasts a beautiful ornamental fireplace, pocket doors, gorgeous open stairway, family room in addition to the living room plus dining room that has been used as a first floor bedroom. Upstairs you will find the full updated bath, 3 bedrooms plus a small room that would make a great office or craft room. Other improvements include new roof and siding in 2014, newer replacement windows, newer carpeting, high efficiency furnace & central air and a 1 car detached garage. Put this home on your ''must see'' list! May require flood insurance.